Mark Johnston, from Industrial Automation Asia (IAA), spoke with Mitsuo Shimizu, Assistant Manager, and Yoshinori Sato, Manager, Quality Assurance Department, Hioki E.E. Corporation on the top five most asked questions about calibration. (l-r): Mitsuo Shimizu and Yoshinori Sato. Hioki electrical measuring instruments comprise four product groups: automatic test equipment, data recording equipment, electronic measuring instruments, and field measuring instruments. Used extensively across different industries for a range of applications, the company has five calibration and service centres globally. Calibration is an integral part of achieving accurate, repeatable, results. What follows are the five most asked questions about calibration, according to Mitsuo Shimizu and Yoshinori Sato, from the company’s Quality Assurance Department, located in Japan. First, follow the recommendation of the manufacturer. Then, if necessary, customise the calibration according to the functions, range and measurement level of the user of the equipment under calibration. First, follow the recommendation of the manufacturer. If the customer has records of calibration data from previous years, analyse the data and adjust the calibration frequency so that the next calibration is conducted within a similar period. For electrical measurement equipment, generally, 1-year calibration periods are the most common. A customer may choose to calibrate themselves or send their equipment to one of our calibration and service centres. 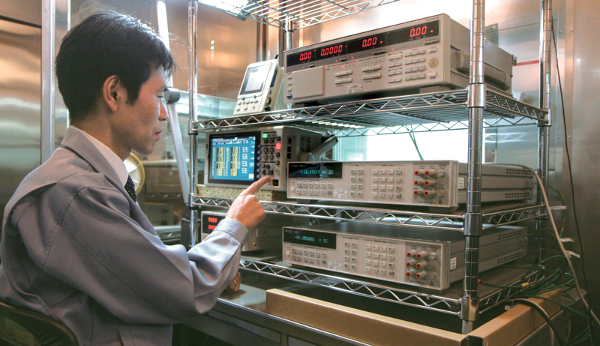 We do not require the customer to return the equipment to Hioki to be calibrated but there are advantages to doing so, namely, we also have the capability to repair and adjust the equipment to ensure it is operating optimally for the customer. This is part of the total after service support we offer our customers. Hioki has five such calibration and service centres globally, Japan can service all parts of the world, while Singapore is the service and calibration centre responsible for the ASEAN region. Q: Do all test equipment need to be calibrated?